Lance was an outstanding runner at both Cape Henlopen High and Edinboro State University and helped both teams to numerous conference and state championships. Lance won two state titles in cross country and four individual championships outdoors in addition to anchoring two state winning relay teams. He was outstanding athlete in track and cross country in high school for three years, except for a single second in the state cross country championship meet in 1976. Lance won the Inquirer Meet high school two mile race on a Tuesday night and returned there Friday to win the Mile title. 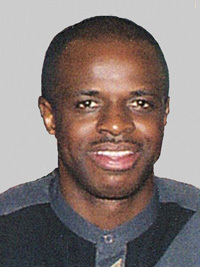 At Edinboro, he was an All-American in both cross country and track and was a three-time Pennsylvania State Athletic Conference champion at 1500 meters, as well as winning the conference 800 meter championship in 1983. Lance ran 3:47.3 in the 1500 and 1:49.7 in the 800 meters.